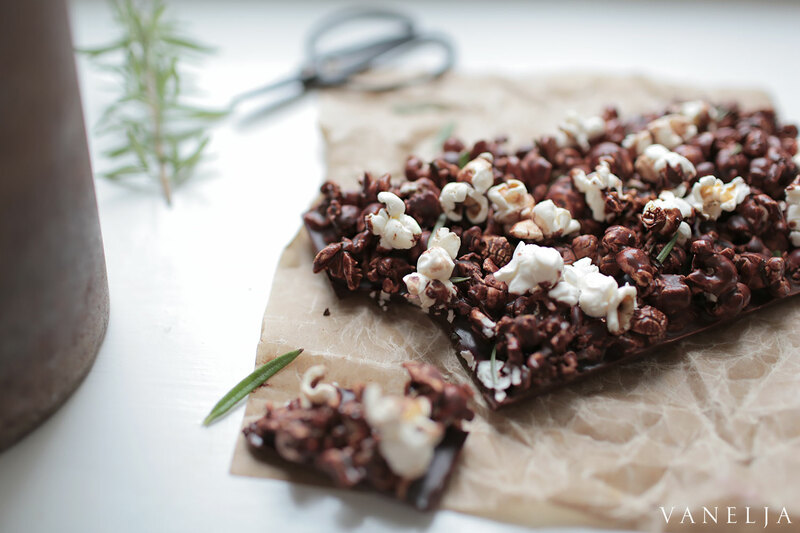 Rosemary flavored raw popcorn chocolate might just be the best movie snack invented. Add coconut oil into a large pot. Heat the oil, add the corn kernels and close the lid. Bake until all of the corn kernels are popped. Rock the boiler so that the grains do not burn. Add a pinch of sea salt. Prepare the chocolate mass. Grate the cocoa mass into a heat-resistant bowl. Add coconut oil. Melt the mixture. Add honey, rosemary and salt. Taste and if necessary, add sweetness or some spices. Take about one fourth of a cup of popcorn and mix about half of the chocolate mass in a bowl with the popcorn. 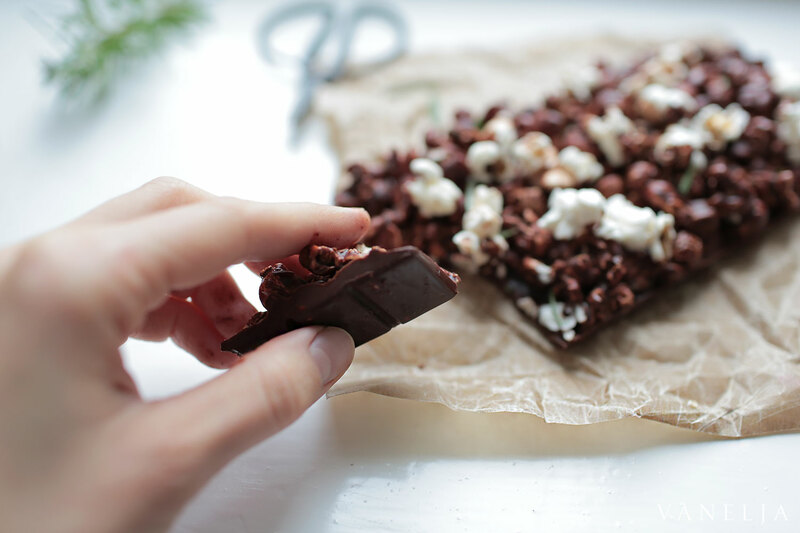 Place the chocolate popcorns on a flat dish / plate with a spoon. 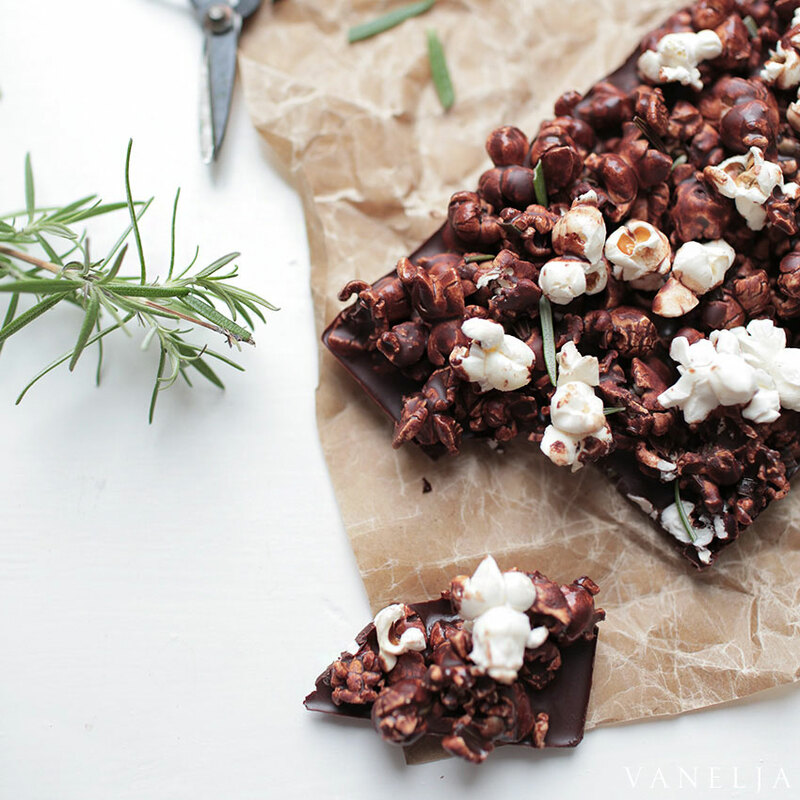 Sprinkle more popcorn on top and pour in the remaining chocolate. 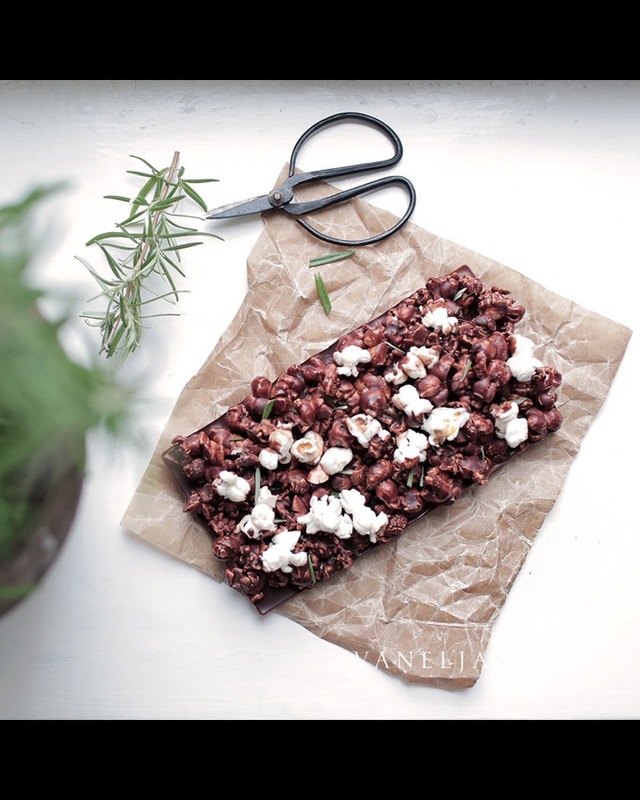 Sprinkle some chopped rosemary on top of it all. Put the chocolate popcorn in the freezer for about 15 mins. Enjoy! Store in a refrigerator.